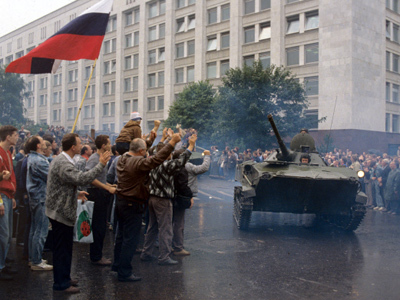 Moscow, August 20, 1991: turmoil reigns as tanks roll through the streets and parliament is hidden by barricades. But the group of hard-line Communists behind the coup were not destined to succeed - the Soviet Union was soon to breathe its last. ­“The first couple of days were pretty scary – that is when we had to go to key points in the city and protect them. 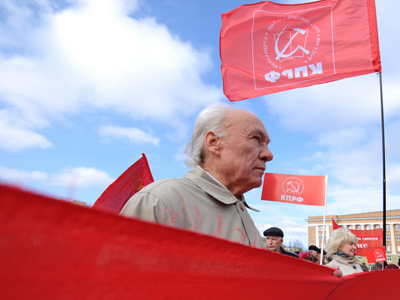 There were crowds of people gathering and violence was on the verge of breaking out,” recalls Pavel Grechov, a commander of airborne troops. The coup plotters had isolated Soviet leader Mikhail Gorbachev and seized control of media outlets. But one reporter defied the KGB officers in his newsroom. 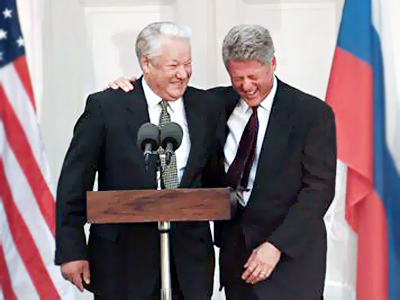 Sergey Medvedev went on air spreading word of the democratic resistance, which was developing around the reformist Russian President Boris Yeltsin. “We have switched on our TV camera without much hope of being able to go on air tonight. You see barricades being erected,” Sergey Medvedev was telling his audience back in August, 1991. In the event, Sergey’s report did get onto the airwaves. As the standoff continued through August 19 and 20, fears grew of an assault on the Russian Parliament, or as it was nicknamed – the White House. 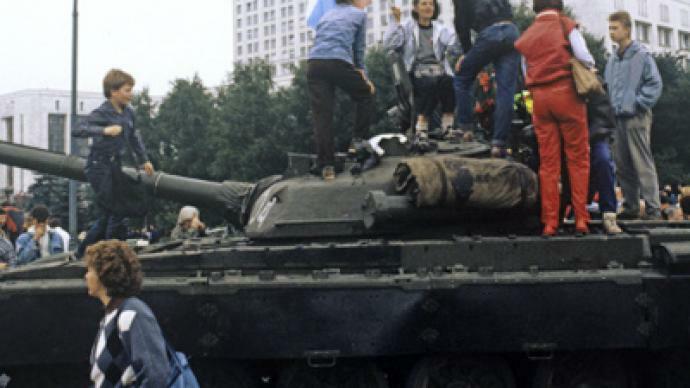 “The tanks and soldiers in the streets, all of it made you feel uneasy, thinking ‘What is going to happen in an hour? 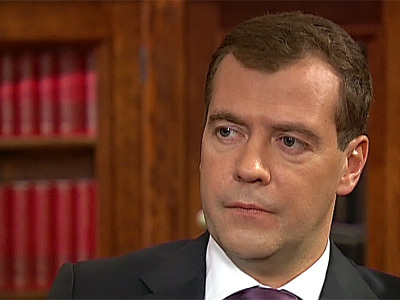 What is going to happen at night-time?’” Sergey Medvedev told RT twenty years on. As armored vehicles tried to ram their way through barricades and move into a road tunnel near the White House, some of the protesters tried to stop them. Lyubov Komar thought her son Dmitry was safe with a friend. In fact he was manning the barricades as the armored vehicles attempted their approach. “Judging by documents that I have been able to see, I know that Dmitry had climbed on that vehicle to cover its vision slits. After doing that, he jumped into the vehicle's rear hatch, where he was shot,” she says. Dmitry was only wounded, but the vehicle then ran over his head killing him, as two other protesters were shot in the mayhem. The three men have been memorialized not far from the White House, where they were slaughtered. They have become martyrs to the democratic cause. In the event, the expected assault on the White House never materialized. Even before the bloodshed, few soldiers were obeying orders. “My colleagues and I could already see that the coup was failing. So after I got the orders to attack the White House and apprehend Yeltsin in the evening we unanimously decided we would not do it,” continues Pavel Grechov, Commander of airborne troops. And the conspirators, already wavering, lost their nerve. As they admitted later, the bloodshed destroyed their cause. 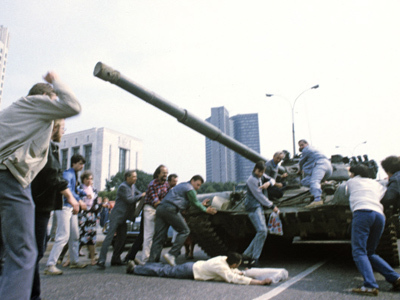 The August coup had come close to succeeding, but in the end it went the way of Yeltsin, and democracy.